The bold Honeycrisp is too tall! 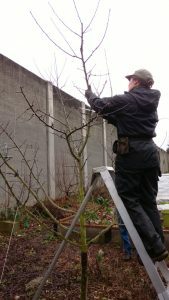 “Bring down the height and the apples are within reach, plus the ladder can stay in the shed.” We all nod with approval. Ingela is convincing. 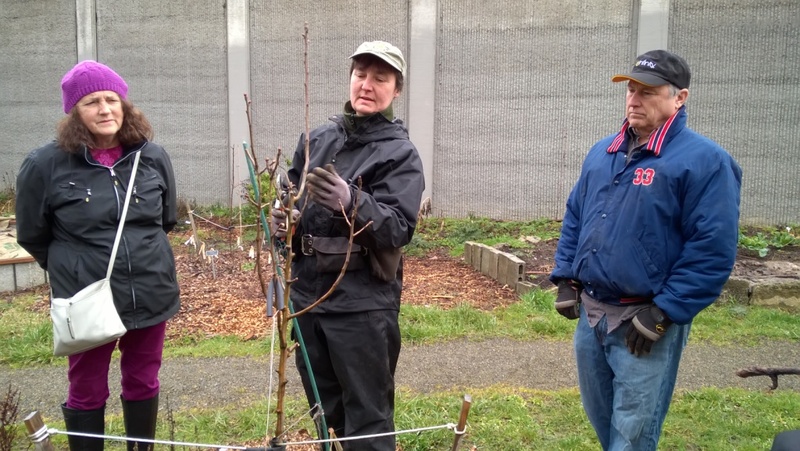 Eight of us gathered in February to enjoy Ingela’s annual pruning class. She walked around each tree, backed up, pondered, then attacked. Swiftly and gracefully, she snipped, sawed, and talked us through the process. Ingela will train the new Harrow Delight pear to a central leader so we have different training styles in the orchard. She carefully ties down the new scaffold branches, denying their desired upright position. 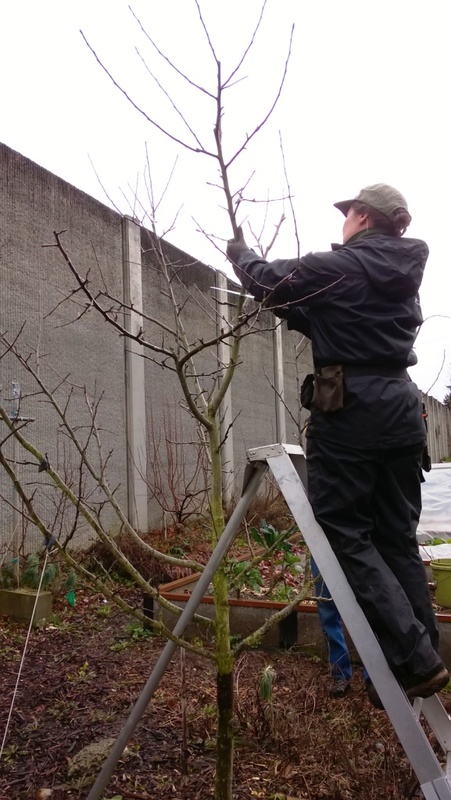 * For an effective tool – Always keep a sharpening tool for your pruners on your belt. * For sanitation – Have a bottle of 50% water 50% alcohol in your tool belt. 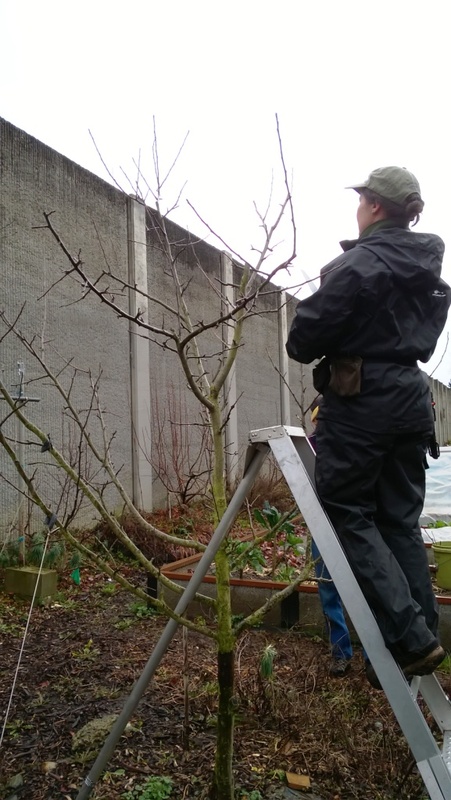 * For clean cuts – Adjust your pruners so there is minimal play between the blades. * Annual cleaning – Note the bolt that locks the pruning blades. When you take the tool apart for an annual cleaning, add a little lithium grease. What a pleasure to watch an excellent tradesperson. Ingela’s ease with trees comes from years of pruning plus a complete knowledge of how fruit trees grow. 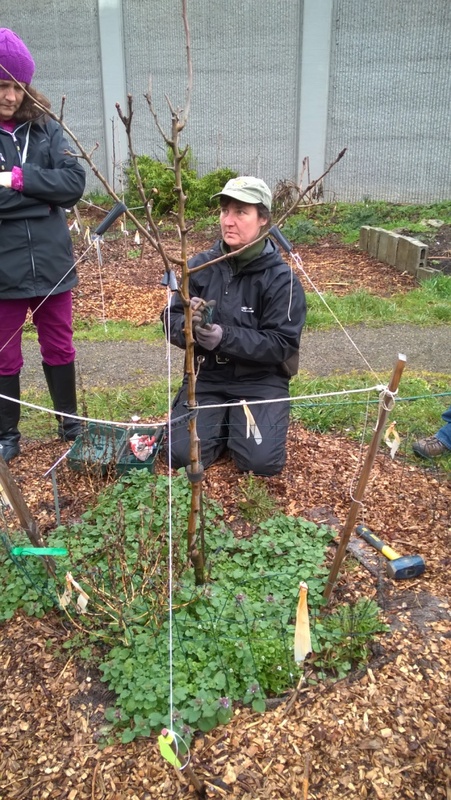 Join us some time in April when we graft a Rescue scion onto the new Harrow Delight pear tree. We should get better pollination from this strategy, but it’s just as much an excuse to provide a fun educational experience. This entry was posted in Plants, Uncategorized and tagged class, eductaion, graft, pruning on March 3, 2017 by Ruth.